Strata Energy, Inc. is pleased to announce the award of two scholarships to Crook County high school graduates. 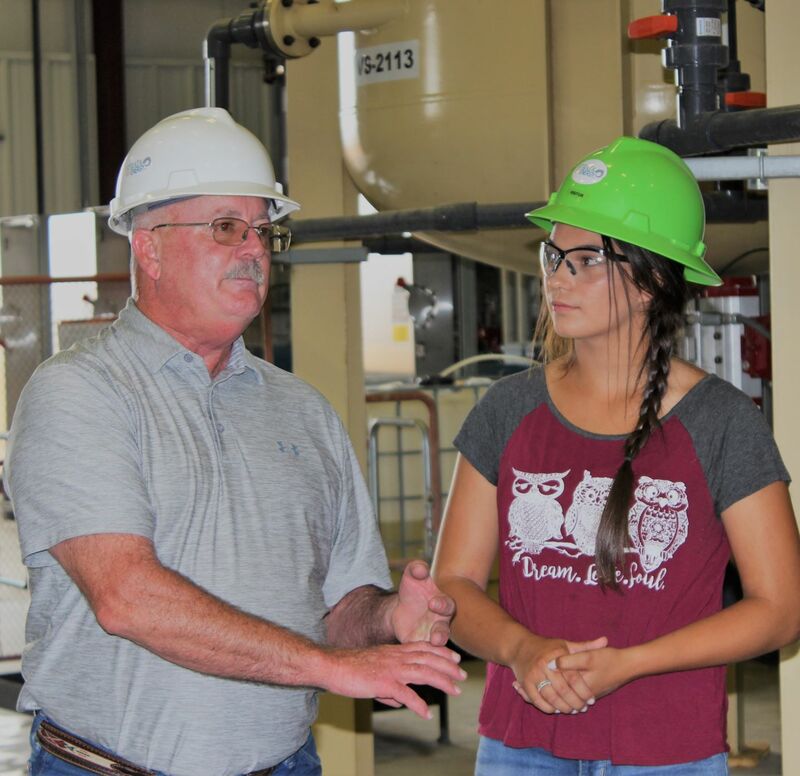 2018 Community Energy Scholarship winner Andrea Pfeil tours the Ross Central Processing Plant with Strata CEO Ralph Knode. Andrea Pfeil of Moorcroft is the fifth Crook County student to be awarded Strata’s Community Energy Scholarship. 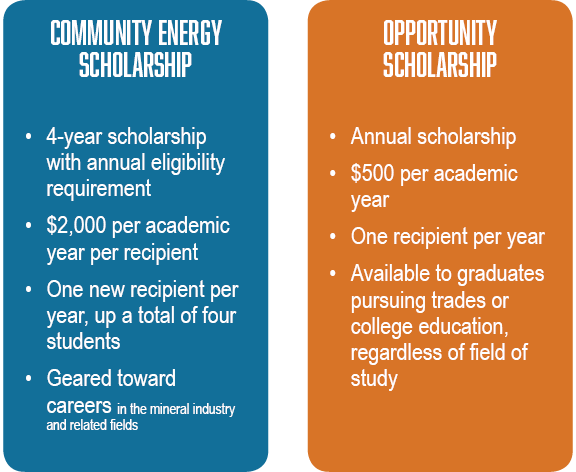 This scholarship provides eligible recipients with $2,000 per academic year for up to four years of academic study geared toward careers in the mineral industry and related fields. 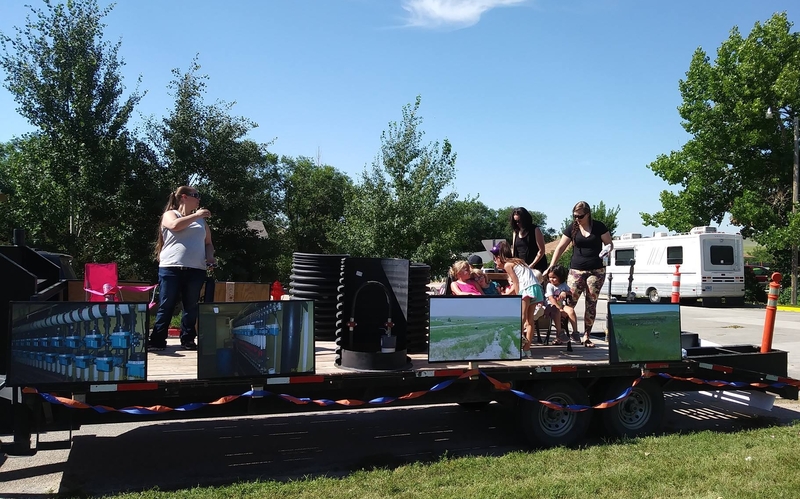 Andrea achieved both her high school diploma from Moorcroft High and her Associate’s Degree from Eastery Wyoming College in May of 2018, and she will pursue a dual major in engineering and mathematics at Gillette College in the fall. She is active as a community volunteer with a local daycare, the Moorcroft Library, her church youth group, and Gillette’s Rock Pile Museum. Andrea is a licensed Emergency Medical Responder and has been a member of the Moorcroft Volunteer Ambulance Service since 2014. 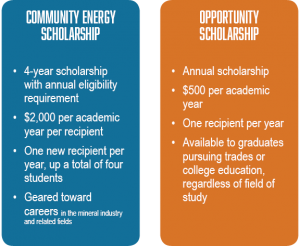 Strata will award the Community Energy scholarship to one new recipient per year, ramping up to an ongoing commitment to help up to four students at any given time in realizing academic success. Grace Belize Anderson of Devil’s Tower has been selected as the second recipient of Strata’s new Opportunity Scholarship, a $500 award for general education and trade programs. She will be studying political science and communications at Liberty University this fall. Grace Belize graduated from Wyoming Virtual Academy with a 4.07 GPA – the first graduating student to have completed all 12 years of her education via virtual school. She served as the National President for Family, Career and Community Leaders of America (FCCLA) for the 2017-2018 academic year and is active in service to her community. Strata will begin accepting scholarship applications for the 2019 awards in March 2019. Strata would like to thank all students who submitted applications for this year’s award. For more information on the Strata scholarship program or the Ross Project, please visit www.stratawyo.com or contact Strata Energy directly at (307) 467-5995. 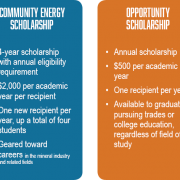 February 6, 2018 – Strata Energy, Inc. (S trata) has again issued an invitation to Crook County high school students to apply for Strata’s Community Energy and Opportunity scholarships. Students may apply for either scholarship through April 10, 2018. Applications and detailed eligibility information are available on our scholarship page, or through Crook County high school guidance counselors. Since the start of the scholarship program in 2013, Strata has awarded over $14,000 to Crook County students. 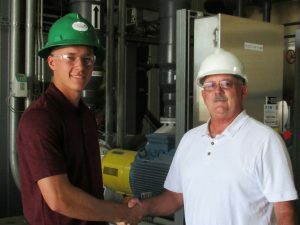 Strata CEO Ralph Knode provides a tour of the Ross Central Processing Plant to Cort Ingalls, recipient of the 2018 Community Energy Scholarship. 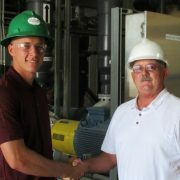 Cort Ingalls of Beulah is the fourth Crook County student to be awarded Strata’s Community Energy Scholarship. This scholarship provides eligible recipients with $2,000 per academic year for up to four years of academic study geared toward careers in the mineral industry and related fields. Cort says he has wanted to become an engineer since 6th grade, and his GPA of 3.96, college coursework, and internships during his time at Sundance Secondary will certainly take him a long way toward that goal. Cort will attend the University of Wyoming this fall, studying Mechanical Engineering. Brandon Clonch of Moorcroft has been selected as the first recipient of Strata’s new Opportunity Scholarship, a $500 award for general education and trade programs. Brandon will be studying Business Administration at the University of Wyoming this fall. Brandon graduated from Moorcroft High School with a 3.7 GPA and 58 college credit hours – nearly enough for his Associate degree. Brandon is also a multi-sport athlete and a musician, and he plans to turn his musical talents and business interests into a career in the music industry. Strata will begin accepting scholarship applications for the 2018 awards in February 2018. 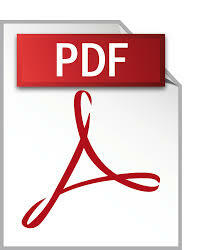 Strata would like to thank all students who submitted applications for this year’s award.